Further loosening of credit standards is needed in order for the housing market recovery to benefit some harder-hit markets. The availability of credit explains, at least in part, why recoveries in many markets vary so dramatically. Buyers in San Francisco average more than 20-percent down with loan-to-value (LTV) ratios of 67 percent to 82 percent, while buyers in Detroit have average LTV between 86 percent and 101 percent. Further loosening of credit standards is needed in order for the housing market recovery to benefit some harder-hit markets, according to Pro Teck Valuation Services. 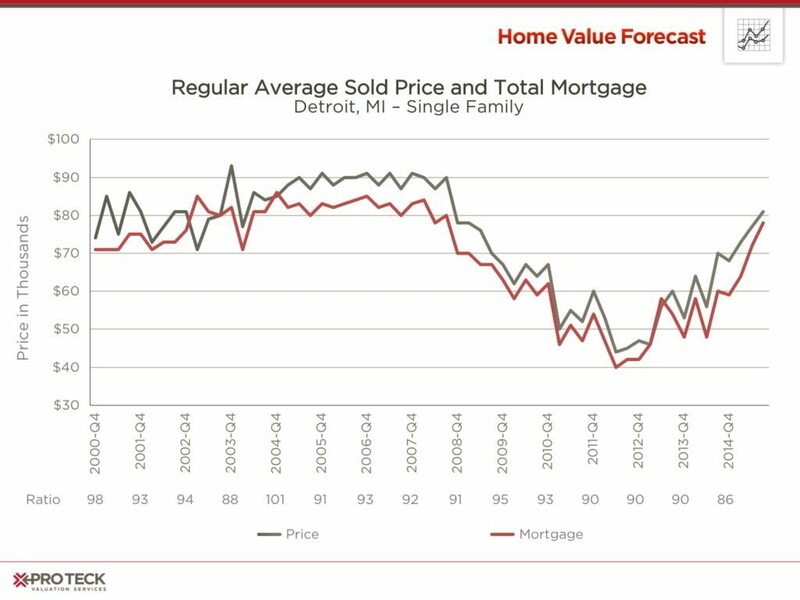 The Waltham, Massachusetts-based real estate information provider’s September Home Value Forecast (HVF) shows that the availability of credit explains, at least in part, why recoveries in many markets vary so dramatically. 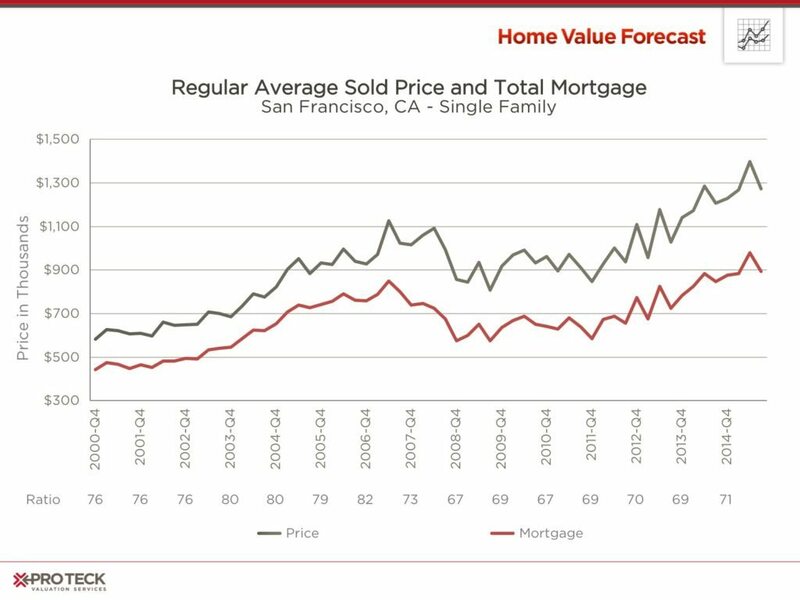 For example, buyers in San Francisco average more than 20-percent down with loan-to-value (LTV) ratios of 67 percent to 82 percent, while buyers in Detroit have average LTV between 86 percent and 101 percent, according to the company’s analysis. In some of the hardest-hit metro areas, homeowners with high LTV loans foreclosed, leading to a steeper drop in home prices and a slower recovery, but “Higher LTV, in conjunction with many of the other credit safeguards that have been adopted in the past five years, should protect banks and safeguard the economy from a repeat of 2007,” said Tom O’Grady, CEO of Pro Teck. These insights are in line with comments recently made by Office of the Comptroller of the Currency (OCC) Thomas Curran to the City Club of Cleveland, Ohio, where Curran spoke in favor of banks making mortgages exceeding supervisory limits on LTV ratios in order to further fuel the housing recovery in areas that are still feeling the negative effects of the housing crisis. “This should be good news to cities like Cleveland that have not benefitted as much as other communities from the broad housing recovery,” Pro Tech said in its report. Pro Teck’s report also comes on the heels of the Federal Financial Institutions Examination Council’s (FFIEC) release on Sept. 22 of the 2014 Home Mortgage Disclosure Act (HMDA) data, which is considered to be the most comprehensive source of publicly available information on the U.S. mortgage market, including data on how much mortgage credit gets extended each year, who obtains credit and which institutions provide such credit. According to the 2014 HMDA data, while mortgage credit stayed generally tight, conditions appeared to ease somewhat over the course of the year as the fraction of mortgage lending to lower-credit borrowers increased. In addition, reports from senior loan officers indicate that several large banks relaxed their credit requirements for prime loans. While mortgage credit stayed tight, conditions appeared to ease over the course of the year. Changes in raw denial rates over time reflect not only changes in credit standards, but also for credit and in the composition of borrowers applying for mortgages. For example, the denial rate on applications for conventional purchase loans was lower in 2014 than during the housing boom years, even though most measures of credit availability suggest that credit standards are tighter today. This result may stem from a relatively large drop in applications from riskier applicants, the FFIEC said. Pro Teck’s HVF is built using numerous housing and economic data sources.